As per the last few years, one of the most important accessories to any individual is their phone. This is especially true because people have all their social life stored in this small gadget. A mobile phone stores all your valuable and important personal data including photos, music and video. It may also contain other important additional data including e-mail attachments, e-books, novels, downloaded documents etc. Like all other digital devices and gadgets, your iPhone is prone to data loss due to various complications. Some of the reasons your iPhone could suffer data loss include physical damage; software malfunction; system upgrade; and physical phone loss among other cases, etc. Fortunately, Apple has provided a way to help users to back up their iPhone data to iCloud, which is safe and convenient. Based on an in-depth research on the same, one of the best iCloud data recovery for iPhone in 2019 is Joyoshare iPhone Data Recovery. 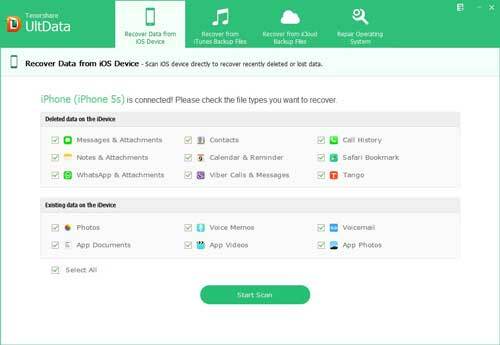 Joyoshare iPhone Data Recovery is the best Windows/Mac program for retrieving any and all deleted or lost data from a wide range of mobile devices running on iOS, which include iPads, iPods, and iPhones. 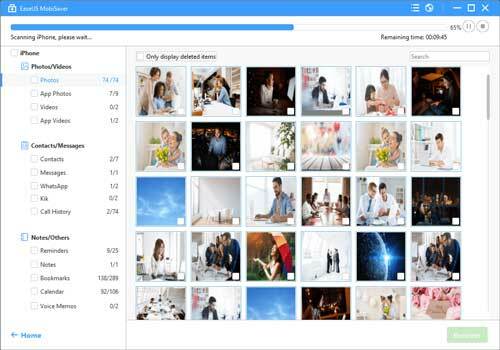 This recovery tool can be used to recover a wide variety of files including music, video files, photos, contact, and calendar among other relevant files, etc. from not only iCloud backup securely, but also iTunes backup as well as iPhone device directly in case you have no backup. 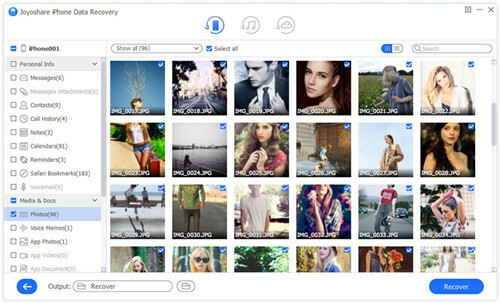 Like Joyoshare iPhone Data Recovery, Tenorshare UltData iPhone Data Recovery can recover over 20 different kinds of files including videos, clips and other relevant documents from iCloud backup as well. Its recovery rate is relatively high, making it among the most effective iCloud data recovery software free download 2019. There are other features that only function on a Windows platform and not on Macbook's operating system. Another relatively effective iPhone data recovery tool is the iMobile PhoneRescue. 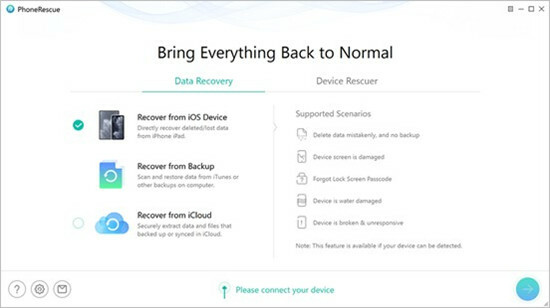 This is a program that facilitates the restoration of any deleted or lost data on Apple devices from iCloud backup, iTunes backup along with iPhone device. Different file types can be easily restored. On commencing deep scan, the scanning speeds become relatively low. This can be really frustrating. 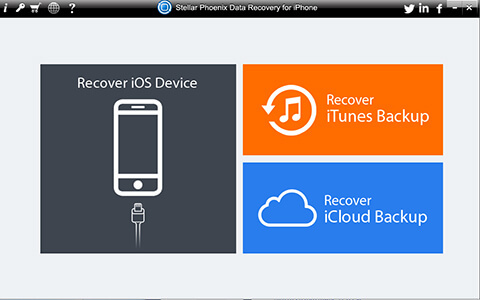 Stellar Phoenix Data Recovery for iPhone is another very efficient iCloud data recovery tool. You don't have to be a computer geek to use this application as it has a very simple and user-friendly interface and general structure. 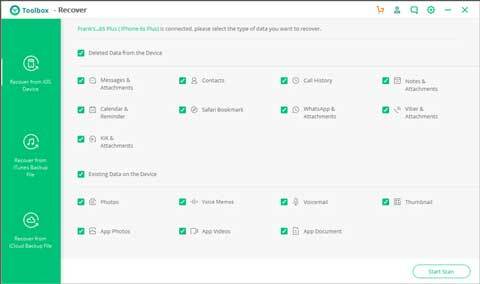 With this application, you can easily, scan, preview and then restore any and all lost or deleted data including music files, video clips and photos among any other relatively significant files. For the best recovery services, the program needs an upgrade. The free or rather trial version doesn't allow offline saving of the recovered files. Another popular iCloud data recovery free program is the EaseUS MobiSaver iPhone Data Recovery. The platform offers you with 3 different data recovery methods and techniques. The program is compatible with a wide variety of Apple devices and gadgets including iPhone 8, iPhone X and any other Apple devices. It is compatible with a wide variety of Apple devices including the newly manufactured smartphones running on the latest iPhone Operating Systems. Similar to most of the other iPhone data recovery apps, iSkysoft Toolbox is a very iPhone data recovery tools that can be used in recovering a wide variety of files- over 20 file-types. iTunes, iCloud and any other backups can be directly restored using this software. The scanning process and duration is relatively slow making it very time-consuming. An iCloud data recovery software could turn out to be the most important tool that you could ever need. This may be especially true if you lose or accidentally delete very important files and documents. In this case, you have to very carefully and keenly select the best software relevant to your case. Listed above are the most effective and reliable iCloud data recovery programs for 2019 you could try, and we highly recommend you to give Joyoshare iPhone Data Recovery a shot.